Sometime I recommend a watch because I feel it has the potential to increase in value. Well, this is one of them. 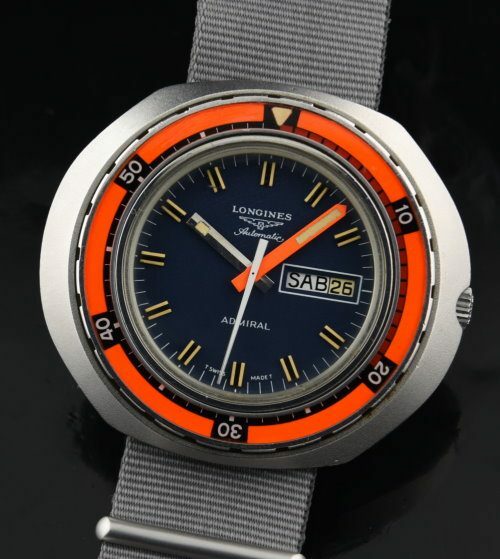 This 1972 LONGINES watch retains its original coated finish, crown, and mineral glass. crystal. This is a VERY uncommon vintage 43.5x49mm. LONGINES reference 8557 ADMIRAL dive watch with the automatic caliber 508 movement keeping accurate time. The bezel is so cool! 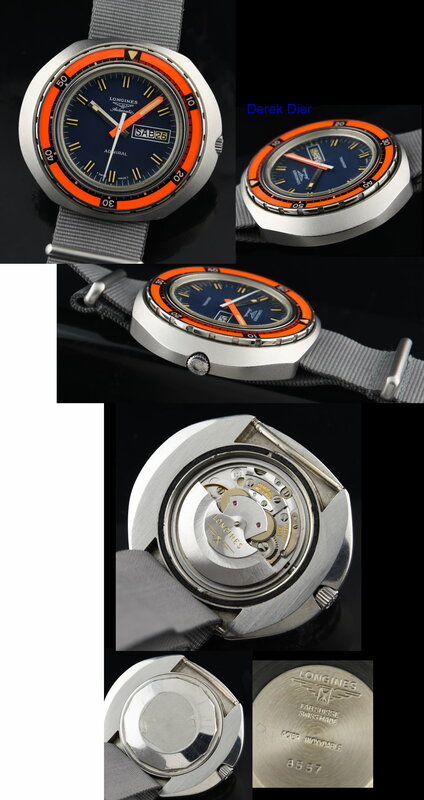 The original and large baton hands against the deep blue original dial just screams “dive watch”. The case has a screw back. Longines watches are FINALLY starting to increase in value (as they should) and I believe this is one very scarce example priced very well. You won’t be disappointed.